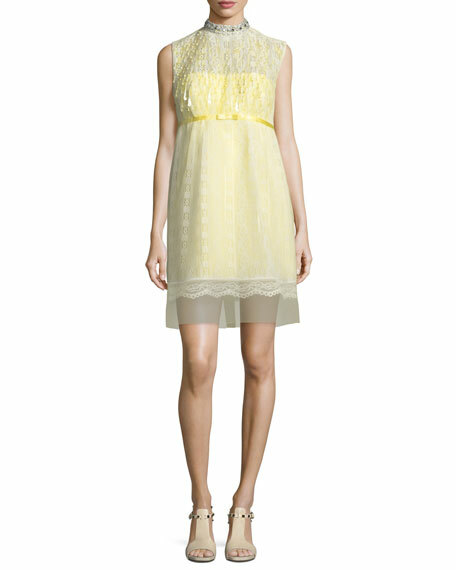 Marc Jacobs lace and chiffon cocktail dress. Satin bow trim highlights Empire waist. For in-store inquiries, use sku #2354925. 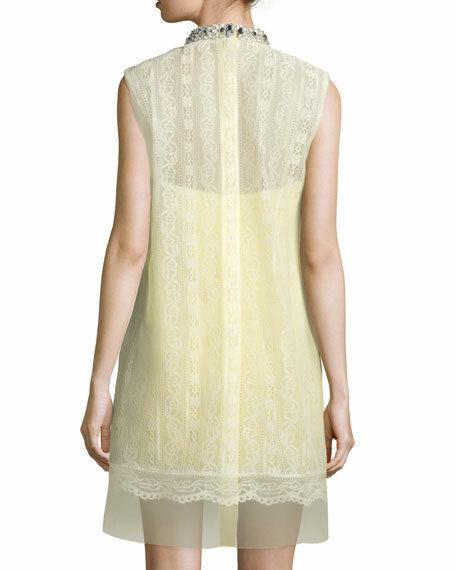 Galvan "Yasmine" cocktail dress in silk satin. Cowl neckline. Thin ribbon straps crisscross at back. Body-conscious silhouette. Ruched side seam with tie detail. Midi length. Silk. Lining, silk/spandex. Made in United Kingdom. Exclusively ours. 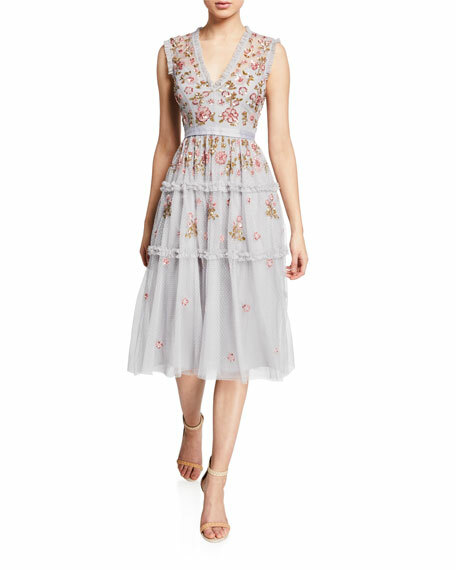 Needle & Thread "Carnation" dress in polka dot tulle with sequined floral accents. V neckline. Sleeveless. A-line silhouette. Tonal grosgrain waistband. Tiered skirt. Midi length. Back zip. Polyester. Imported.